Also known as: Integrated SUN USB KVM drawer and USB switch, KVM switch in rackmount 1RU KVM drawer, 1RU rackmount LCD monitor SUN USB KVM switch. 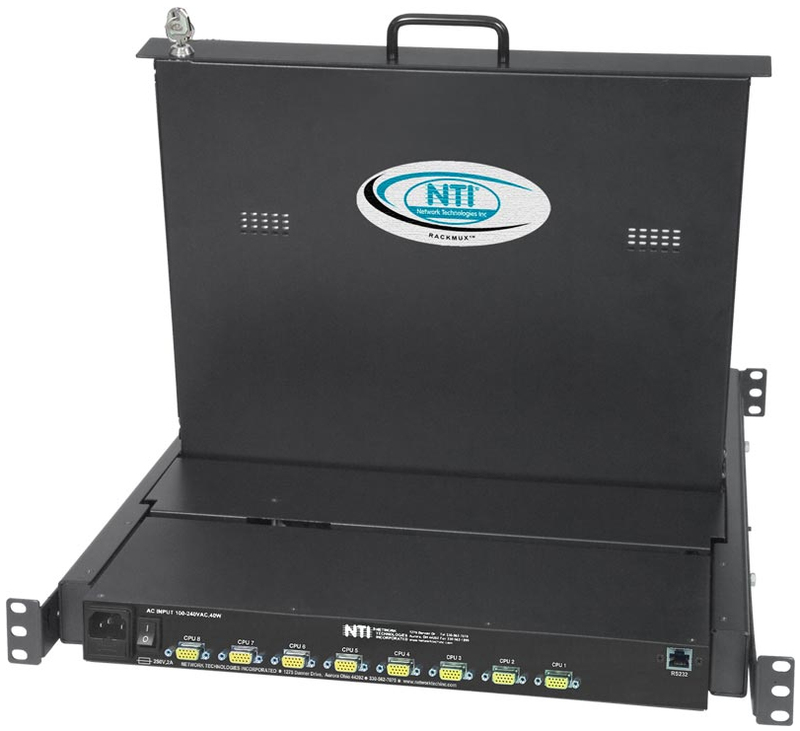 The RACKMUX® SUN USB KVM Drawer with Integrated High Density VGA USB KVM Switch combines a rackmount LCD monitor, SUN USB keyboard, trackball mouse, and NTI's UNIMUX™ 8-port High Density VGA USB KVM Switch into a space-saving 1RU industrial strength drawer. Available with forward-folding 17" (432 mm) TFT/LCD VGA monitor. 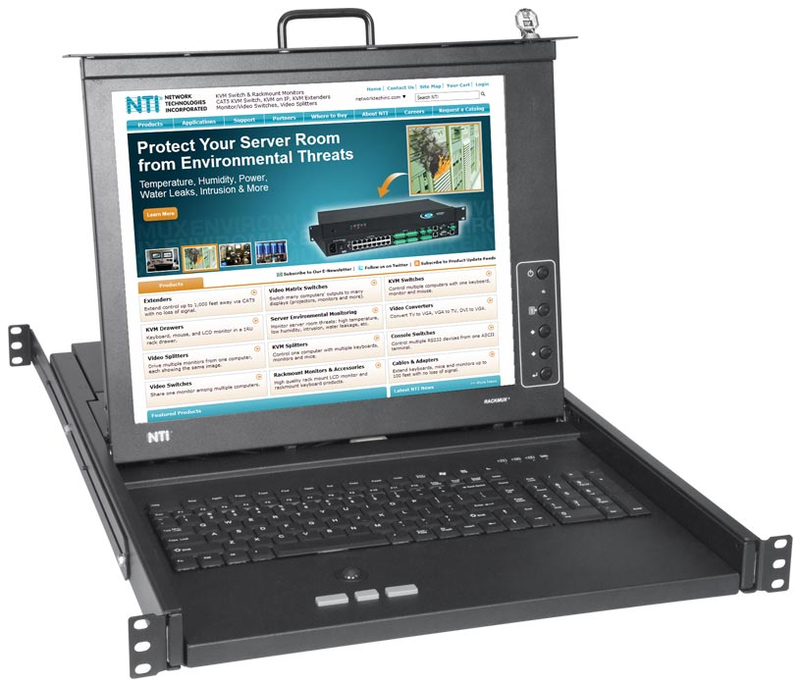 Available with Sunlight Readable monitor – call an NTI Product Consultant for more information. WxDxH: 19x23.9x1.75 Inches (483x607x44 millimeters).